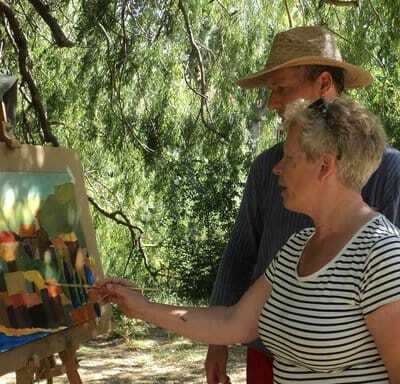 This wildpainting course will again have its base in the medieval French village of Bize-Minervois in the Languedoc region. The course will be taught both in English and Swedish. 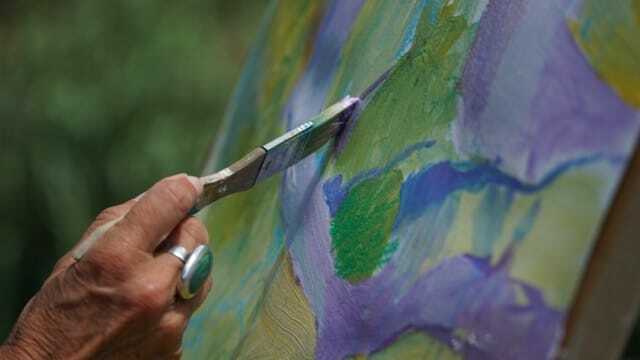 Wildpainting is allowing yourself to paint in ways you may have never attempted before and to immerse yourself in a natural environment that invites opening all of the senses. There are the smells of rosemary, sage and thyme. The soft sound of the rippling water of the river La Cesse, the crickets in the sycamore trees, or a distant lark, high in the sky above. The mild evening breeze cooling your skin after painting for hours in the animated landscape. We will start painting on Wednesday morning, June 26. Participants arrive latest on Tuesday, June 25. The course will be taught in both English and Swedish by Jan van Boeckel. Jan is an experienced Dutch artist and art teacher. All participants will receive personal tutorials as well. On Sunday evening, June 30, we will have a vernissage and exhibit our paintings. On Monday morning participants leave home again. A wine-tasting event and excursions to surrounding medieval Cathar villages and a local farmers' market are also scheduled. Lodging is not included in the course price. There are several nice and price-worthy guest houses within short walking distance. When you know the course is confirmed, it can be wise to be early with your bookings of flights, trains and accommodation, in order to get a good rate. Our host, Birgitta Elfström, can assist you with this. 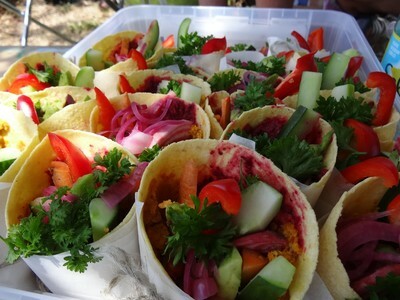 We aim to provide high quality meals that are reflective of the local region and culture. If you have any dietary restrictions or allergies, please inform our host in advance. 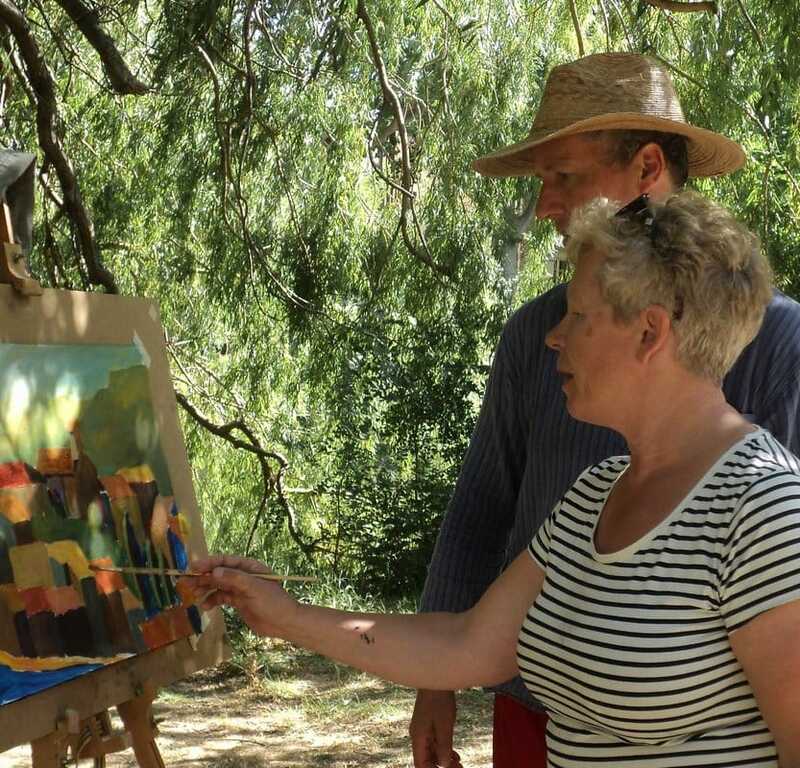 Wildpainting in Bize-Minervois has become an annual event. Take a look at the previous Wildpainting courses. Wildpainting is also a group on Facebook! Good tutorials, the theoretical and practical exercises go hand in hand. Good to have breaks, to reflect on the progress and to learn from each other. Good company! A quiet environment, relaxing. A good combination, with the yoga and the food. Good atmosphere. "Högt i tak", as we say in Sweden. The food - made painting even better!! Nice reviewing sessions.